Showing results by narrator "Lyman A. Montgomery"
One of the greatest challenges of the modern world is being able to focus. Research shows that the average attention span is less than seven seconds. It's undoubtedly a world full of distractions, which often prevent you from starting a productive day, staying healthy and enjoying the people and things that matter the most. 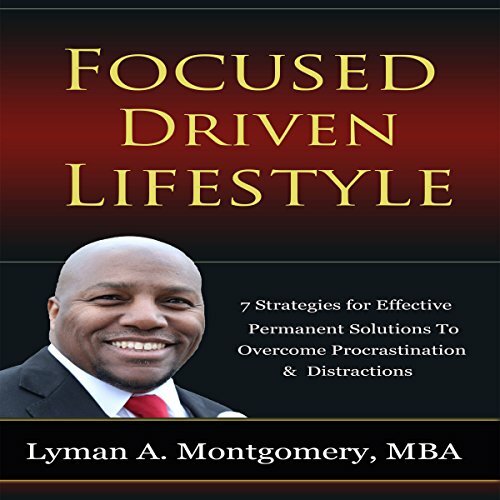 Focused-Driven Lifestyle is a book designed to help you remove those debilitating distractions, annihilate your procrastination, and set fulfilling priorities, so you can enjoy a focus-driven lifestyle.